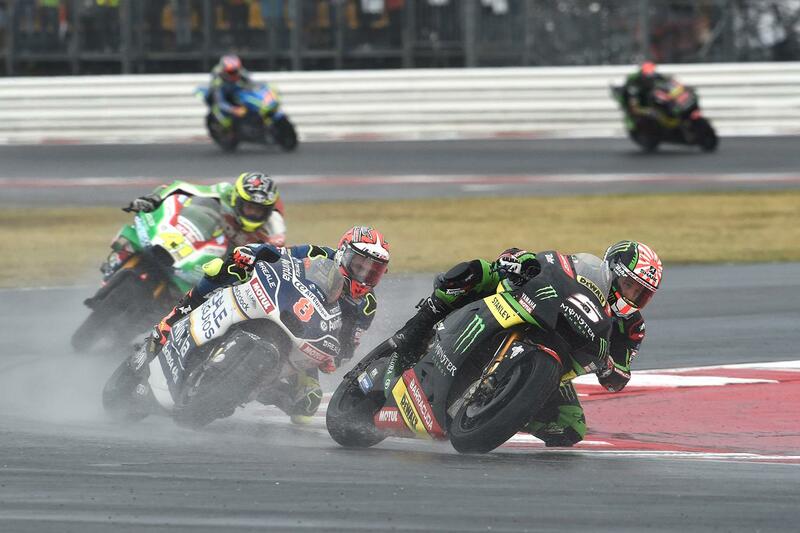 Johann Zarco says he’s aiming for a podium finish at the penultimate European round of the 2017 MotoGP season, as the championship heads to Motorland Aragon this weekend before the three-week trip to Asia and the final round of the season at Valencia. Still locked in a close fight with Cal Crutchlow for the top independent spot and just easing ahead of teammate Jonas Folger for best rookie after an impressive debut season in the class, he says that he’s targeting this weekend for another good result. “I am motivated about achieving a great result there. I would like to finish inside the top five and possibly fight for the podium, even if it will be tricky because many riders are fast at this track. As for me, I will remember the work that we did in Misano, which was positive, and the team and I improved a lot. But while Zarco maintains an advantage in the rookie classification, leading his teammate by 26 points, Folger says he’s out to close that gap this weekend at a circuit he loves. "As always, I am looking forward to the Aragon round because I think it’s a beautiful track and one of the nicest circuits that we visit. For sure we are going to get the typical Spanish weather there, plus the layout is great and it’s a lot of fun to ride. There is a good mix of corners and hard braking areas, plus a long straight, so overall, it’s a track that I really like. “I hope that we are going to score more points at Aragon than we did in Misano because I still want to win the top rookie battle in the championship. We lost some ground in the last few races so we have to make up some points but I will fight." MotoGP: Poncheral rules out Zarco as Rossi replacement?